Event chair and host Barbara Davis announced today that award-winning gospel icon Gladys Knight, 11-time Grammy Award-winner Kenny “Babyface” Edmonds, and award-winning record producer David Foster will perform at the 2018 Carousel of Hope Ball on Saturday, October 6. Together, they will perform for a star-studded audience alongside Fernando Varela, Pia Toscano, and Shelea Frazier. As previously announced, longtime supporter Robert De Niro will be receiving the “Brass Ring Award” for his philanthropic efforts and continued dedication to the cause. The biennial event is committed to increasing awareness for type 1 diabetes, raising funds for clinical care and research at the Barbara Davis Center for Diabetes, and supporting programs run by the Children’s Diabetes Foundation. Funds are raised through sponsorships, dinner tickets, a live and silent auction, and contributions. This year, guests have the chance to bid on a wide range of one-of-a-kind items including a Serena Williams autographed tennis racket, a Lenny Kravitz autographed Gibson Flying V guitar, a Meet & Greet with Lionel Richie in Vegas for four, and a three-night stay at The Kahala Hotel & Resort in Honolulu. 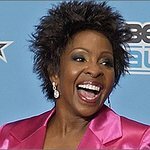 Gladys Knight is a seven-time Grammy Award winner, who has enjoyed #1 hits in Pop, Gospel, R&B and Adult Contemporary, and has triumphed in film, television and live performance. In 1995, Knight earned her star on the Hollywood Walk of Fame, and the next year, Gladys Knight & The Pips were inducted into the Rock ‘N’ Roll Hall of Fame. She has also received the “Lifetime Achievement Award” from the Rhythm & Blues Hall of Fame, as well as at the 2004 BET Awards ceremony. Knight has recorded more than 38 albums over the years, and in 2015, released her first mainstream dance record in nearly twenty years, “Just A Little.” As a humanitarian and philanthropist, Knight has devoted her time to various worthy causes, including the Children’s Diabetes Foundation, and continues to show her dedication by performing at this year’s Carousel of Hope Ball. With an award-winning, multi-faceted pop/urban career, Kenny “Babyface” Edmonds has nurtured the careers of megastars such as TLC, OutKast, and Usher, and written and/or produced an array of hits for megastars including Whitney Houston, Michael Jackson, Boyz II Men, Eric Clapton, Bruno Mars, Barbra Streisand, Aretha Franklin, Johnny Mathis, Ariana Grande, and countless others. Exemplifying those achievements are his numerous awards and honors, including Grammy Awards, American Music Awards, BET Walk of Fame Award, NAACP Image Awards, a star on the Hollywood Walk of Fame, and induction into the 2017 Songwriter’s Hall of Fame. He is currently in the studio working on his new album. Babyface is a passionate philanthropist who plays an active role in supporting The Carousel of Hope Ball and dedicated to helping the Barbara Davis Center get one step closer to finding a cure. As one of the most successful songwriters and record producers in history, David Foster has created award-winning albums for a diverse array of artists including Barbra Streisand, Celine Dion, Whitney Houston, Michael Jackson, Andrea Bocelli, Michael Bublé, and many more. For his noteworthy work, Foster has earned 16 Grammy Awards, an Emmy Award, a Golden Globe, and has even been nominated for three Oscars for “Best Original Song.” He has also earned a reputation as a keen spotter of new talent, playing a key role in the discovery and career launches of Celine Dion, Josh Groban, and Michael Bublé. Foster has also been rewarded with numerous professional honors, including receiving his star on The Hollywood Walk of Fame in 2013. Currently, David is celebrity judge on the smash hit TV Show, Asia’s Got Talent. Also, is gearing up to take on Broadway with several projects. These include writing the music for a new musical about the iconic, animated character Betty Boop. Among his many successes, Foster has also established himself as a humanitarian, and has continuously supported the Barbara Davis Center for Diabetes and the Children’s Diabetes Foundation throughout the years. Since its inception in 1977, the iconic Carousel of Hope Ball has been a Hollywood favorite, uniting entertainment, sports, and business industry leaders from all areas for a night dedicated to raising awareness and, ultimately, finding a cure for diabetes. Diabetes, which afflicts over 30 million people in the United States alone, is rapidly on the rise. It is estimated that one in three babies born today will have diabetes in their lifetime and each year, approximately 50,000 Americans are diagnosed with type 1 diabetes. Of those, 25,000 are children. The Carousel of Hope Balls have raised more than $110 million to date, with proceeds benefitting the Children’s Diabetes Foundation and the Barbara Davis Center for Diabetes (BDC). Rated #1 Benefit in Southern California by Bizbash for multiple years, this star-studded evening is not to be missed. The 2018 Carousel of Hope Ball is generously sponsored by American Airlines, the Official Airline of The Carousel of Hope; The Beverly Hilton; Tina & Rick Caruso; Marlyn & Robert Day; and Dexcom.